In a brief statement on its website, the ministry said China would try to work quickly to carry out specific issues already agreed upon, as both sides “actively promote the work of negotiations within 90 days in accordance with a clear timetable and road map”. “We are either going to have a REAL DEAL with China, or no deal at allat which point we will be charging major tariffs against Chinese product being shipped into the United States. Ultimately, I believe, we will be making a dealeither now or into the future,” Trump wrote in a post within minutes of the Commerce Ministry statement. Sources told Reuters that Chinese oil trader Unipec plans to resume buying US crude by March after the Xi-Trump deal reduced the risk of tariffs on those imports. China’s crude oil imports from the US had ground to a halt. The benchmark Shanghai stock index closed down 0.6 percent on Wednesday. 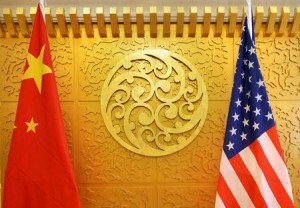 “Despite a temporary de-escalation of hostilities following the G-20 summit, the relationship between the US and China will remain contentious,” Moody’s Investors Service in a report. Officials from the US and a number of other major economies have often criticised China for its slow approach to negotiations and not following through on commitments. China has said comparatively little about the Trump-Xi agreement after senior Chinese officials briefed the media following the meeting, and there have been some differences between US and Chinese accounts of what the deal entails. “Officials now face the difficult task of fleshing out a deal that is acceptable to the Chinese but also involves significant enough concessions not to be torpedoed by the China hawks in the Trump administration,” Capital Economics said in a note this week. A Chinese official told Reuters officials were “waiting for the leaders to return” before publicising details. President Xi and his most senior officials are due back in China on Thursday having visited Panama and Portugal since leaving Argentina. On Wednesday, the Global Times tabloid, which is run by the Chinese Communist Party’s main newspaper, said myriad statements from the Trump administration about the dealincluding the agreement that China would buy $1.2 trillion in additional US goodswere designed to highlight or even exaggerate facets of the deal that benefited the United States. “Reaching an agreement within three months is a spur to not only China, but also the US If the two sides fail to reach a deal, all the White House promises will be invalid,” it said.